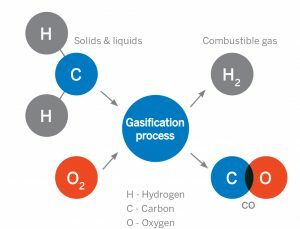 Gasification is a process that can find new value in traditional fuels such as coal, wood, and oil. More impressively, gasification can unlock the energy value of waste materials such as waste wood from construction, forest, lumber, and paper industries, as well as household waste from towns and cities. The hot, low-calorific-value syngas generated in our gasifiers can be used in place of more expensive gas and liquid fuels in limestone kilns or cement furnaces or co-fired in coal boilers to reduce the carbon emissions for existing coal capacity. Combining biomass gasification with coal co-firing reduces CO2 emissions, increases fuel flexibility, contributes to greater renewable fuel usage. Our experience has shown high gasifier availability with no adverse operating effects (fouling and corrosion) to the existing boiler. 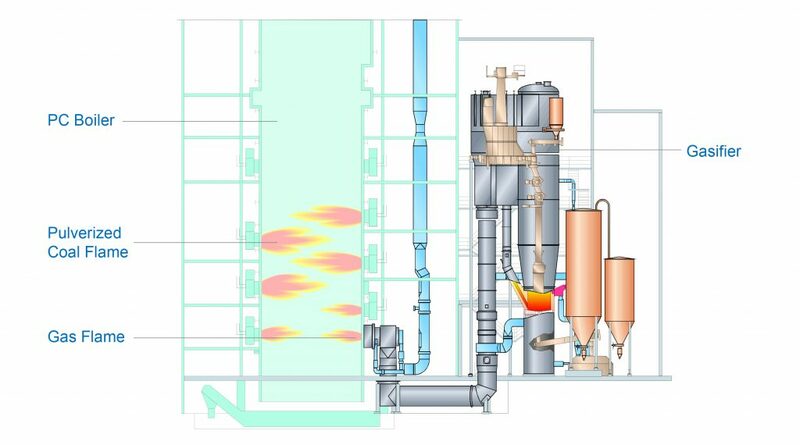 By using steam and oxygen in the gasifier, the syngas can be cooled and cleaned and be used as feed stock to produce renewable liquid fuels like biodiesel and methanol.